Summer is here and I love summer chores to keep the home a little organized. 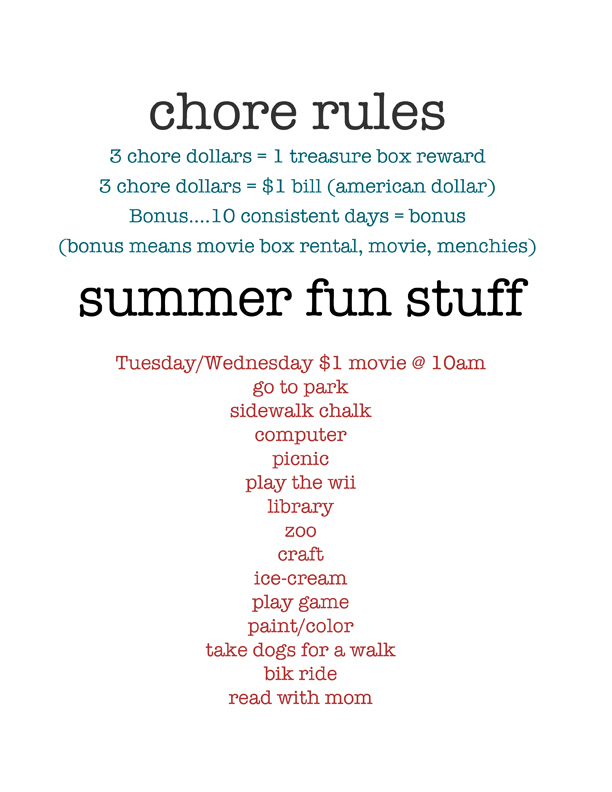 Kids love treats and incentives...so I created these chore bucks for my girls. Age of child will determine chores... have fun. PLEASE CLICK on the image for printable pdf downloads.